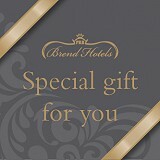 If you find and advise Brend Hotels of a lower publicly available room rate carrying the same rate conditions, for the same room type and bed type, and for the same dates and number of guests, prior to, or within 2 hours of making a reservation with a Brend Hotel, we will make your reservation for you honouring the competing rate. Brend Hotels reserve the right to deny a claim where the rate displayed on the competing website has more restrictive rate conditions than on our website. The Best Price Guarantee does not apply to existing reservations booked through a competing room provider. Brend Hotels reserves the right to deny a claim if it cannot independently verify the availability of the competitor rate at the time it processes the claim. If the claim is unsuccessful as it is not in accordance with our lowest price guarantee terms and conditions, our terms and conditions of booking, including the cancellation policy are still applicable. Brend Hotels reserves the right to amend, revise, supplement, suspend or discontinue the Best Price Guarantee at any time in its sole discretion and without prior notice.